Placemaking, a collaborative process by which we (residents, architects, activists, community leaders and planners alike) shape our public realm together, is fundamentally about inclusion and shared community ownership. 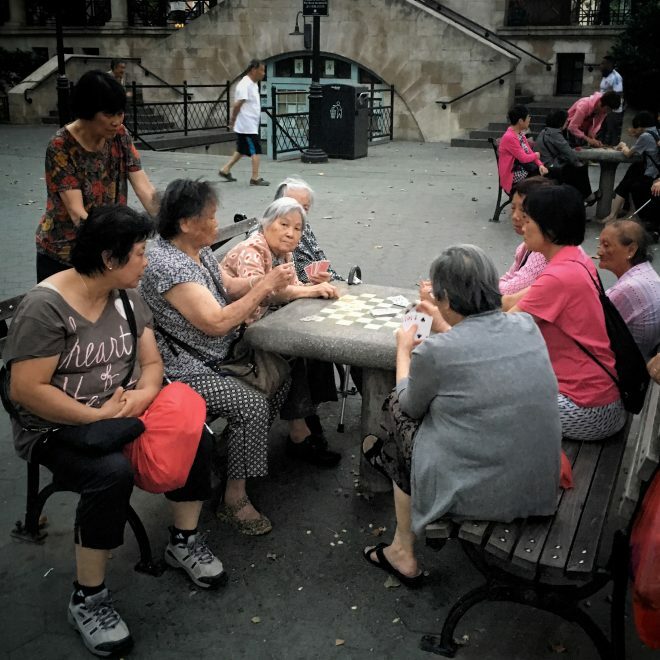 Rather than watching passively as private developers or public agencies determine the use and value of a neighborhood’s public spaces, placemaking enables citizens to create and maintain their own places, while highlighting unique strengths and addressing specific challenges. While some developments are built around and profit from the idea of exclusivity, placemaking is about increasing “quality of life” and economic opportunity for everyone, not just a privileged few. We believe that cities and regions can facilitate growth while also maintaining their authentic character and preserving the people, as well as the socio-cultural values, that are already in place. Nonetheless, the physical, social and cultural landscapes of many local places remains caught between danger, disinvestment and a lack of opportunity, on the one hand, and the Pyrrhic victory of “neighborhood improvement” through gentrification, on the other. Within communities, accessibility remains a tremendous obstacle for many. Women and children in communities across the globe still struggle to find safe places in which to play, socialize, and participate. Many citizens in lower-income neighborhoods still lack access to green space in close proximity to their homes. And the recent acts of protest we have been witnessing in cities throughout the world, as people attempt to claim their right to the city, show us that residents are demanding to be involved in the decisions that impact their communities. Given the increasing frequency of citizen uprisings, along with ongoing processes of insensitive urban development and gentrification that continue to displace local residents, businesses, and communities, it is becoming clear that sustained community engagement is more important than ever. 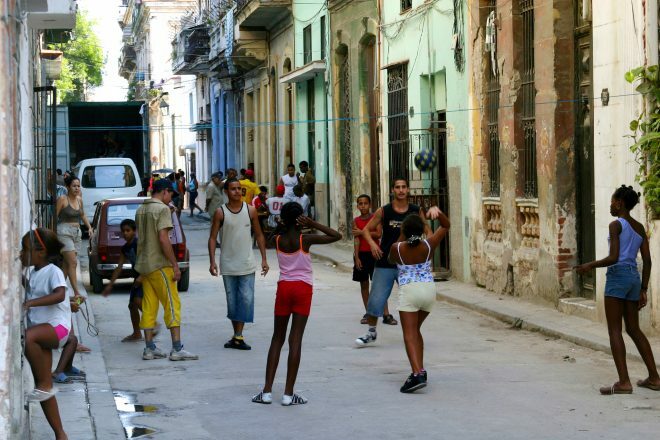 Of course, there are significant challenges involved in creating equitable places in practice, and equally difficult to measure their success or “equitability.” For example, how do we make public spaces truly inviting for all—what does this entail, and how might it vary from location to location? How exactly do we ensure that a community engagement process is truly inclusive? How do we fund equitable projects? How do we create places that work best for the people who actually use them? An important part of this equation involves the ways in which communities are empowered to become active agents in the co-creation and continued stewardship of their public spaces. What kinds of training and tools are available for communities so that they can maintain these spaces? Another piece of the puzzle concerns design, and how it relates to a community’s particular needs. How do we make room for diverse activities and spontaneous social interaction so that everyone feels welcome in a public space? Whom do the spaces serve? What sorts of activities will resonate most with its users, and what vision do they have for their space? When neighbors come together to improve their public spaces, results can be tangible and immediate, and this process itself amplifies the sense of belonging and inclusion that is part and parcel of great places. Placemaking results in real, immediate change—not from a plan that takes years to implement, but from interventions that work from the ground up. Many projects show us that the direct economic benefits that result from placemaking strategies indeed amplify cherished aspects of local culture. This is the case, for example, with public markets, which can help struggling communities begin to rebuild and reactivate local identity and economic activity. Lighter, Quicker, Cheaper projects can also lead to big change—physical, social, and economic—on very small budgets. In Jackson Heights, Queens, for example, a campaign called the Jackson Heights Green Alliance shows how citizens can take action toward creating the communities they want, even in the face of overwhelming obstacles. 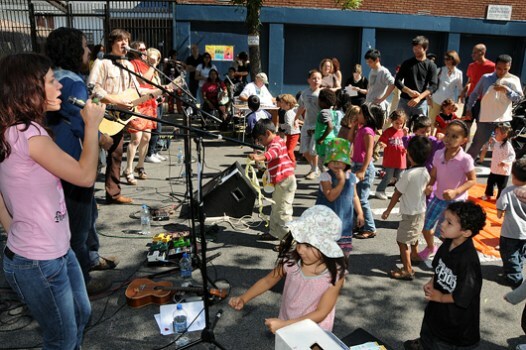 In 2011, the Jackson Heights neighborhood, which has one of the highest densities of children per acre of green space in NYC, petitioned the city to close off the street adjacent to local Travers Park to create a summer Playstreet. Soon after, the Playstreet grew into a true town square where all members of this diverse community could come together. After the success of the Playstreet, residents learned that a local private school opposite the park was looking to sell its school yard. Hoping that the city would acquire the park, the school board approached City Council members with a proposal for the city to acquire the lot and create a park that would function as an extension of the overcrowded Travers Park and the Playstreet. The school entertained offers from a developer until community members organized a fund to support the school’s interim operations through individual loans. The land was eventually acquired by NYC parks, and today, in 2016, the parcel is an effective expansion of Travers Park, continuing to serve as a much-needed play and recreation area for Jackson Heights residents. Community-led and LQC projects are taking place in cities all over the world. 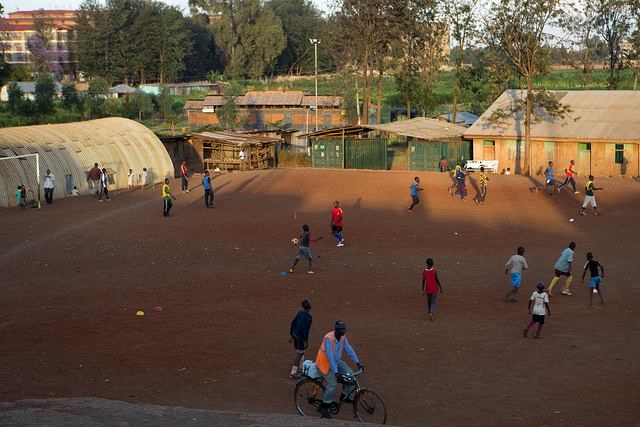 In Kenya, the Kilimanjaro Initiative worked for the rehabilitation of a soccer field in Silanga, Kibera—a slum area that is home to nearly a million people. With funds raised from the initiative, community members transformed a rocky, unsafe space into a multifunctional gathering place for everyone. The field is used not only for playing soccer, but it also hosts a number of events and activities. As one participant stated: “The field will become even more of a safe focal point and community space, not only enhancing sporting talents among youth but also fostering community interaction, promoting safety and security and peaceful co-existence.” Isn’t this the ultimate goal of our public spaces? We know that just a little effort can accomplish so much. As practitioners and citizens, how do we move forward in the creation of more equitable places? How can we ensure that the process of designing and creating these places is itself inclusive? First and foremost, we must continue sharing ideas and evolving our practice together while challenging ourselves to develop more effective ways to measure and document success and failures.